Thank you for a wonderful stay and for looking after us in your beautiful home. 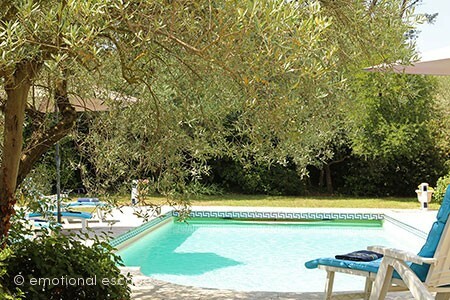 An enchanting garden, olive trees, lavender, plumbago, in short, everything that says Provence. This supremely well-appointed house, which is so rare, made us feel home from home. We have had such an amazing week in this beautiful house. The market on Fridays is an absolute must. We cannot wait to come back. Thank you for a wonderful stay in this fantastic villa and beautiful location, perfect for the whole family. We have really enjoyed our stay in St Rémy and relaxing by the lovely pool - ... Read more marvellous! What a wonderful week in a wonderful place ! Thank you for sharing your beautiful home with us. Merveilleux séjour, maison magnifique, de vraies vacances. Merci beaucoup ! Revenue comme dans une maison de famille où l'on retrouve ses habitudes. Beaucoup de plaisir et de sérénité dans ces lieux. La magie a opéré encore une fois. Grand old house in a beautiful location. Very much enjoyed relaxing here and exploring the area.